The owner of the Parker Lands says he's mystified by the presence of protesters on his property, claims police are bolstering their efforts and says the City of Winnipeg is making him jump through an unusual number of hoops before he can build homes, apartments and townhouses. In his first sit-down interview since protesters started camping out on his property, developer Andrew Marquess expressed a combination of frustration and confusion, not just with the people he calls "illegal trespassers," but with Winnipeg Mayor Brian Bowman and law enforcement. This fall, Marquess intends to ask the city to approve a plan to develop 1,740 housing units on a 19-hectare parcel of partly wooded land in what's officially known as Winnipeg's Parker neighbourhood, which straddles the second leg of the Southwest Transitway at the northern edge of Fort Garry. The plan can't be completed, he says, without technical information that can only be compiled after more trees are removed from the property. That work stopped in July, when protesters set up an encampment near the western edge of the property in an effort to protect remaining stands of aspen, assert Indigenous property rights and effectively place the development on hold. "We needed to clear some sites to get some elevations and we needed to do some geotechnical testing to even get a sense of really what the grading would look like at the site before we actually move on to anything else," Marquess told CBC News in an interview on Wednesday, his first since a group of about 15 protesters set up tents on the Parker Lands. Precise elevations must be determined in order to figure out how to grade and drain the site, something that has to be determined before the submission of a Parker secondary plan to city land-use officials, Marquess said. The inactivity at the site is holding both this plan and a separate application to change the zoning on the parcel from industrial to residential land, said Marquess, adding he has no idea why protesters chose his property to make a point about the development of traditional Indigenous land. "You have various people there with with, clearly, various causes other than on an Indigenous basis. To follow that up, I've never received a phone call from any Indigenous organization to suggest that there should be consultation," Marquess said. "They're not protesting the Waverley underpass site. They're not protesting the BRT transitway. They're not protesting anywhere on the north part of the site. They're not protesting on the city-owned land where a retention pond is. They chose here. I don't have a good explanation." Marquess acquired most of the Parker neighbourhood from the city in 2009 in a transaction that eventually became known as the Parker land swap. 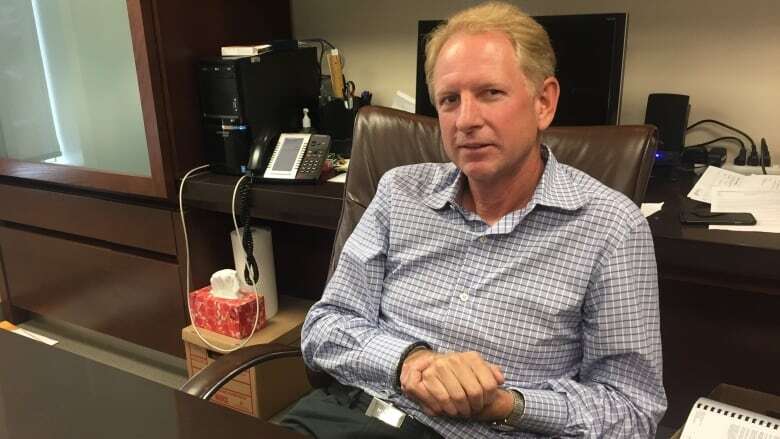 The Alberta-born developer, who grew up on a ranch and worked in wealth management and agricultural genetics before he moved into real estate, traded a smaller portion of serviced land he owned near the Fort Rouge transit garage for the unserviced Parker Lands. 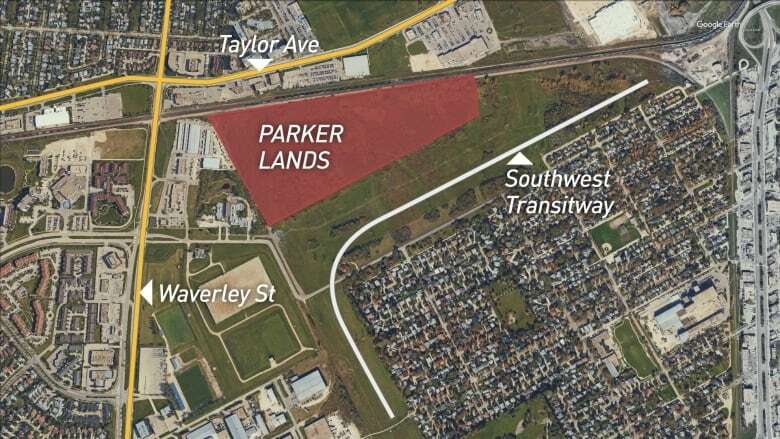 The land slated for development enconpasses 19 hectares on the north edge of Fort Garry, alongside the second leg of the Southwest Transitway. (CBC News Graphics)The land exchange, made public only days before a city council vote, outraged several longtime Parker-area residents, including the activist Cal Dueck, who has been campaigning against the development of the land ever since. The land deal was also assailed in 2014 by an external audit of City of Winnipeg real-estate transactions, whose authors concluded the land swap was a "rush job" conducted without proper appraisals of either of the properties. But the crux of the opposition to the Parker development was environmental, as Dueck and other activists expressed opposition to the prospective loss of aspen stands, grasslands and several small stands of cattails. They dubbed the area "the Parker wetlands," based on the presence of the seasonal sloughs. The breadth of the opposition expanded this July. When crews contracted by Marquess started removing aspen stands from the west side of the site, protesters arrived not just to protect the trees, but to complain development is proceeding without consideration of the traditional Indigenous use of the land. She said in addition to serving as natural habitat, Parker was a traditional hunting and ceremonial area that later was close to two Métis settlements, Rooster Town and Tin Town. Jenna Vandal says she won't leave the Parker protest camp until Indigenous people are consulted about the future of the private property, which she considers sacred. (Bartley Kives/CBC)For much of the 20th century, Parker also served as a railway land and included cattle pastures before its open areas were overgrown by stands of aspen. However, Vandal said she rejects the city's designation of the area as a major redevelopment site, and is not enthused by the environmental benefits that could be ascribed to a high-density infill development along a bus corridor. "They designated this site as vacant or underused. It's never been vacant," said Vandal, who uses the term "land defenders" instead of protesters. "I think maintaining this forest for us, and for the animals that use it is more important, ultimately, than infill development here." For Winnipeg's mayor, the protest camp at Parker places two of his own top priorities in conflict. 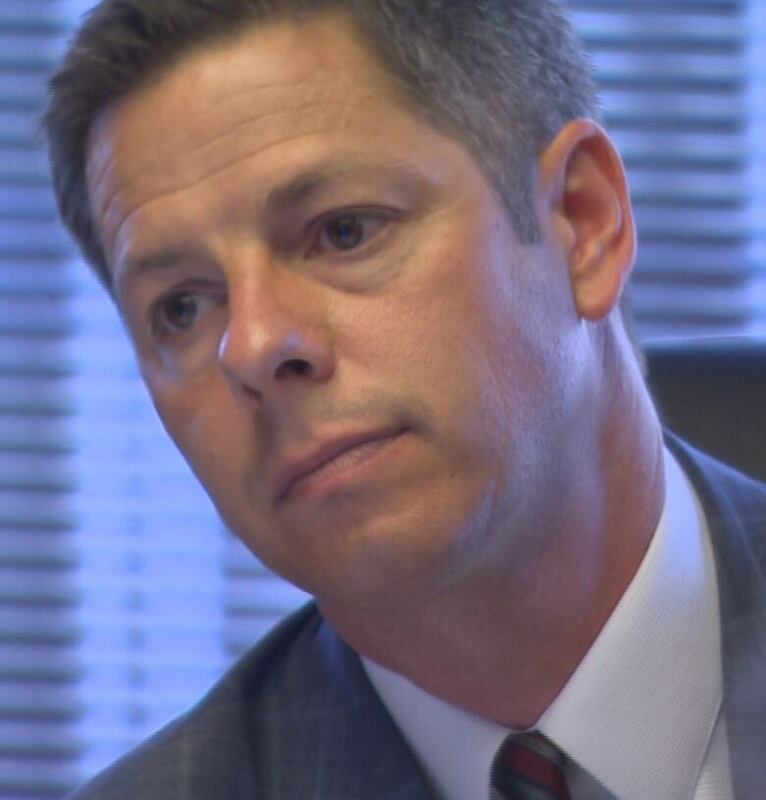 On one hand, Brian Bowman is a rapid-transit proponent who has pledged to complete six bus corridors by 2030 and has often cited the benefits of transit-oriented development such as the development proposed by Marquess. On the other, this mayor has strongly asserted the primacy of both the First Nations and Métis presence in Winnipeg, and has spent a great deal of his first term promoting reconciliation between the city's Indigenous and non-Indigenous residents. Winnipeg Mayor Brian Bowman says he supports the Parker development but needs to see the plan. 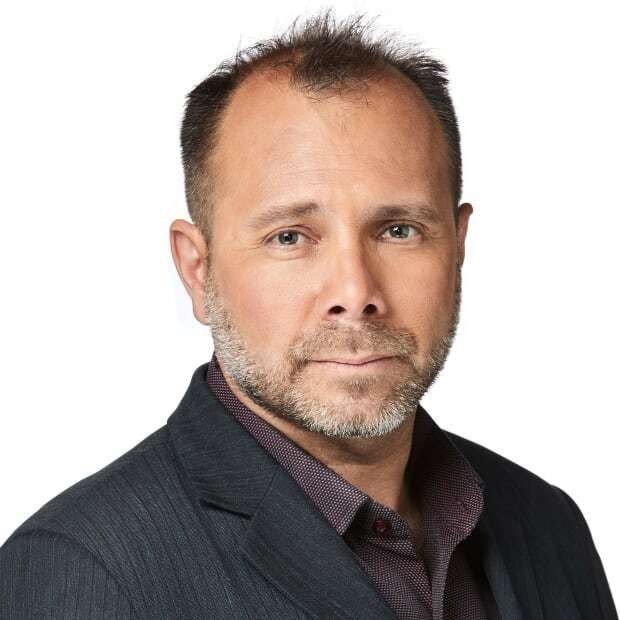 (Cliff Simpson/CBC)In July, Bowman called for Marquess to stop cutting more trees at Parker and urged Marquess to submit a development plan first. In an interview on Thursday, the mayor said he was not aware the developer needed to clear trees to complete that development plan. "I've said repeatedly we would like to see development occur, especially transit-oriented development. But we need to follow the processes laid out for everybody's benefit," said Bowman, who met with some of the protesters at the behest of Vandal. That meeting upset Marquess, who noted he wasn't granted an audience with the mayor — but also conceded he didn't ask for a meeting. "It appeared more to give support to these people," said Marquess, who is concerned the mayor is pushing for him to preserve more than the standard eight or 10 per cent of the natural areas within the Parker Lands. Bowman said that is not the case and said public hearings about the Parker secondary plan will determine how much aspen will be protected in the area. Marquess also complained the Winnipeg Police Service is effectively aiding protesters by failing to remove them from his property. "Certainly, the inaction of the police certainly bolsters the position of the illegal protesters, because there's no consequence," said Marquess, who insisted he would have no problem with the protesters if they stuck to public property. "The protesters came in and said we're taking control of the whole site. You're not doing anything. It's under our total control. And that, to me, is different than a protest." ​In July, lawyers working for Marquess and his firm Gem Equities failed in a bid to persuade a judge to hold a summer hearing over dismantling the encampment. Winnipeg police suggested they're taking cues from the courts. "The role of the Winnipeg Police Service in this matter is to keep the peace. We are monitoring the ongoing dispute, and will continue to do so as this situation makes its way through the court process," police spokesperson Kelly Dehn said in a statement. Marquess also complained he's had to complete 25 drafts to date of the Parker secondary plan, while it only took four or five drafts to submit his development plan for the former Fort Rouge Yards. "I can't speak to what his relationship was like under the previous administration," said Bowman, referring to events that transpired when Sam Katz was Winnipeg's mayor. Ultimately, Marquess said, he is confused by the controversy over Parker. He said no one raised Indigenous land rights when he held two open houses about the development plan, which calls for about 240 detached homes or townhouses and about 1,500 apartment units to rise on the land, in concentric circles that would emanate from transitway-station plazas.